For the ninth consecutive year, Austin Bergstrom International Airport has reported a year-over-year rise in passenger numbers. The Central Texas airport welcomed 15,819,912 passengers in 2018, a 13.9 percent increase over 2017 passenger numbers. 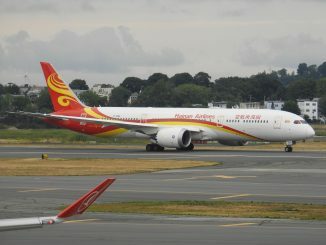 For the first time in its history, the airport saw at least one million flyers passing through the airport every month, with July setting a monthly record for over 1.5 million passengers. In 2017, 13.8 million passengers flew through the airport. In addition to the increase in total passenger numbers, Austin’s Airport also saw a 34.5 percent increase in international traffic, totaling over 380,000 passengers for 2018. This was largely due to new flight additions and larger aircraft equipment on international routes. Norwegian began flights to London Gatwick in early April, providing a non-stop low-cost competitor to British Airways’ daily London Heathrow service. 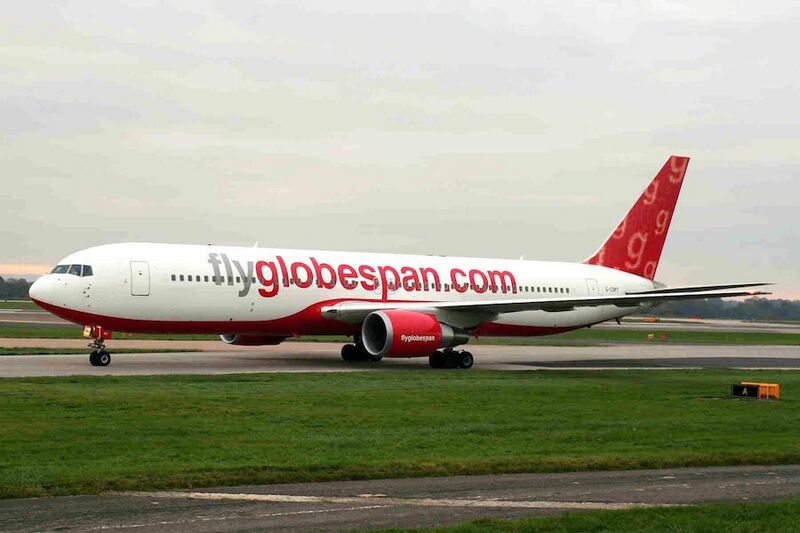 Due to the ongoing Rolls Royce Trent 1000 engine issues and a lack of available aircraft, the flight was made seasonal and will be back for the summer season again on April 2, 2019. During the summer season, the airline managed to fly over 54,000 passengers to and from Gatwick Airport. British Airways also swapped its Austin route from a 787-9 to a 747-400 for the summer season and is now using a 777-300 on the route through the winter season. The upgrade in aircraft allowed the carrier to better compete with the significantly cheaper economy tickets Norwegian was offering to the U.K. 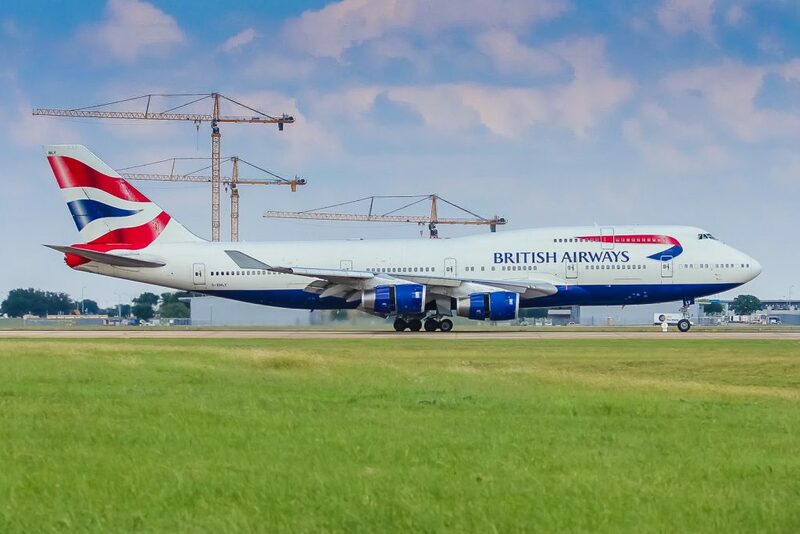 This move proved successful for British Airways as the carrier saw an increase in its total passenger numbers to 171,559 for 2018, a 33.1 percent increase over 2017. Air Canada and AeroMexico also saw substantial growth on flights to Mexico City and Toronto. The airport handled almost 16 million passengers in a terminal built for 11 million last year. 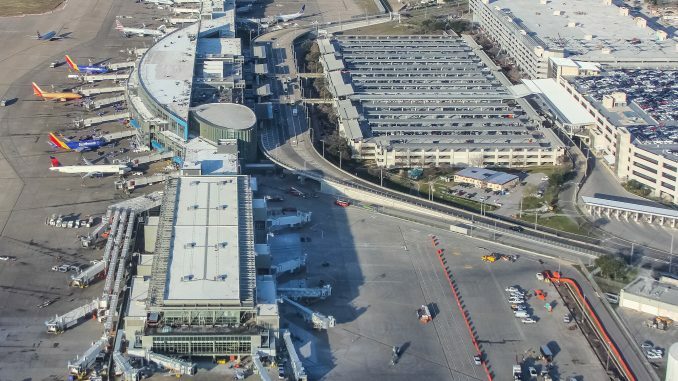 While the South Terminal has helped free up some space in the main Barbara Jordan Terminal in the short-term, only 390,000 passengers flying on low-cost carriers used the rather small and inconvenient terminal in 2018. This temporary terminal, however, is scheduled be demolished by 2024 to make room for more aircraft parking stands as part of the new 2040 Airport master plan. By then, a new 22 gate concourse will be constructed south of the Barbara Jordan Terminal to accommodate future growth, according to the airport. On Feb. 15, 2019, the airport will welcome the first flight to the new east-terminal expansion which has been in development over the past five years. The new expansion includes over 175,000 square feet of terminal space, allowing the addition of nine new gates, including six capable of handling international flights and two widebody gates, each with two jet bridges. The construction of the expansion recently passed the 90 percent mark and will also be home to a new Delta Sky Club and an outdoor patio once open. While this expansion will address immediate capacity issues, it will not be sufficient as it only increases the maximum yearly passenger capacity to 15 million, a number the airport has already exceeded. Construction on a new south concourse, however, is approaching and will help Austin’s airport continue to respond to the increase in air traffic demand in Central Texas. In 2018, multiple carriers ramped up their service to Austin including Frontier Airlines, which is now the city’s fifth largest carrier by passengers served. The airline serves eleven year-round and eight seasonal destinations. Via Airlines, Delta Air Lines, Sun Country Airlines, and Taos Air expanded their flight schedules in Austin last year as well. Southwest added new flights to Indianapolis, San Francisco, and Sacramento in 2018. Despite rapid expansion by multiple carriers, Southwest retains the crown as Austin’s largest airline. The carrier flew 5.5 million people, over two million more than the second largest carrier in the city, American Airlines. Known for its distinctive local and unique identity, the airport also tallied up the total number of breakfast taco restaurants within the airport sold, this time reaching a record 833,507 tacos. In addition to the tacos, 112,269 pounds (58.1 tons) of brisket were sold at the various restaurants selling barbeque. The airport also hosted 995 live concerts in 2018, bringing the total to over 12,000 since opening in 1999. For the first time in over a year, the airport will have space to welcome multiple new airlines and increases in flight frequencies as the highly anticipated nine gate expansion open this spring. Spirit Airlines will begin serving Austin on Feb. 14 with eight destinations initially and a ninth beginning in May. 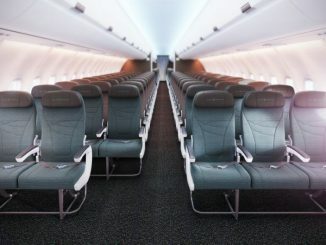 Air Canada recently announced that it will add an additional flight to Toronto between April and October using an Embraer 175 aircraft. 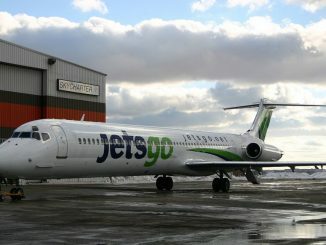 WestJet will begin two times weekly summer seasonal flights to Calgary on May 2, using a Boeing 737-700. Lufthansa will enter the Austin market as well in May, with five weekly flights to its Frankfurt hub. With an increase in flights coming to Austin, the airport is expecting continued passenger growth in 2019 and beyond. 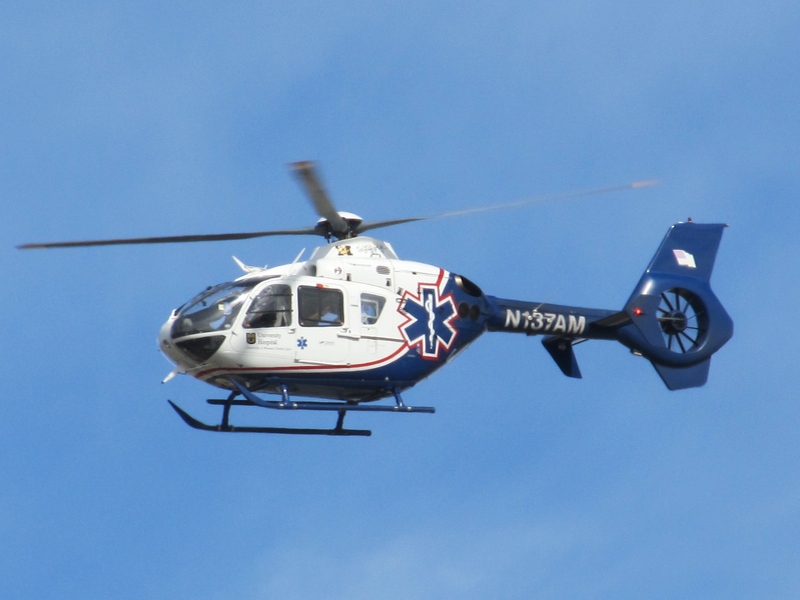 Nearby San Antonio International Airport also broke a record in 2018. For the first time in the airport’s history, the airline saw over ten million passengers use the airport. It has now joined both Dallas airports, both Houston airports, and Austin Bergstrom International Airport to be the sixth airport in Texas flying over 10 million annual passengers. Mateen has been interested in aviation from a very young age. He got his first model airplane at six and has been airplane spotting since he was nine years old. He has always had a passion for aviation and loves learning about different aspects within the industry. 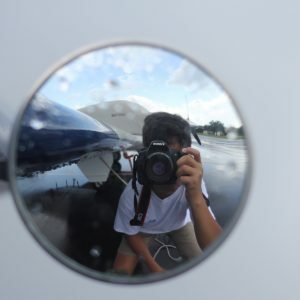 In addition to writing for AirlineGeeks, Mateen is also an editor for his high school’s newspaper. You can also find him on Instagram (@Plane.Photos) where he enjoys sharing his aviation photography with thousands of people everyday.